Arkansas allows you to complete your divorce without an attorney if you and your spouse can come to an agreement on what to do with your property and how you will care for any children that you have. One of the spouses must have been a resident of Arkansas for 60 days before filing for divorce. The divorce cannot be finalized until one of the spouses has been a resident of the state for 3 full months. The "no-fault" grounds for divorce in Arkansas require the Husband and Wife to have lived separate and apart from each other for eighteen (18) continuous months without sexual relations. Review and sign the divorce papers. File the Complaint for Divorce and related documents with the Circuit Clerk. The Judge signs the Decree of Divorce finalizing your divorce. Forms are specific to the state of Arkansas and DivorceWriter offers a money back guarantee if your documents are not accepted by the Court. 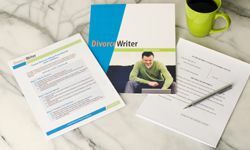 You have qualified to use DivorceWriter to complete your Arkansas divorce papers online. Select "Continue" to start the interview.